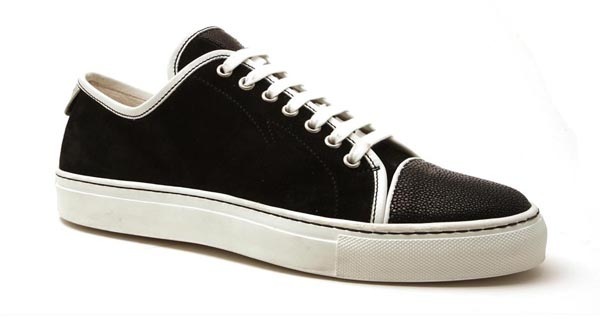 oliver sweeney "riva" black suede sneakers with stingray toe cap. surprisingly well price at... £199. Ever seen a stingray watch strap? Those are amazing too! Love these... very tempted... if only I had more money! Also love the Lanvin ones with the patent toe cap. Brings back memories of my earlier lust, Mr Hare's Stingray shoes!